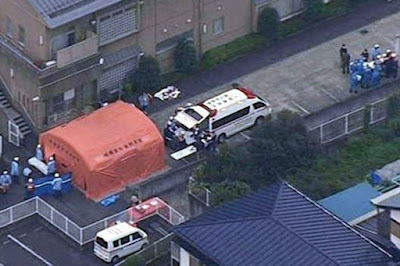 Japanese news agencies are reporting that 19 people are dead and 20 injured following a knife attack in Sagamihara, Kanazawa Prefecture, outside Tokyo. A knife-wielding man attacked a residential care facility for the disabled at 2:30 am local time (July 26, 2016). A former staff member escaped, then returned, and turned himself into police. Reports indicate that over 45 people have been injured. Mass violence such as this is rare in Japan, and an incident like this has not occurred for decades. 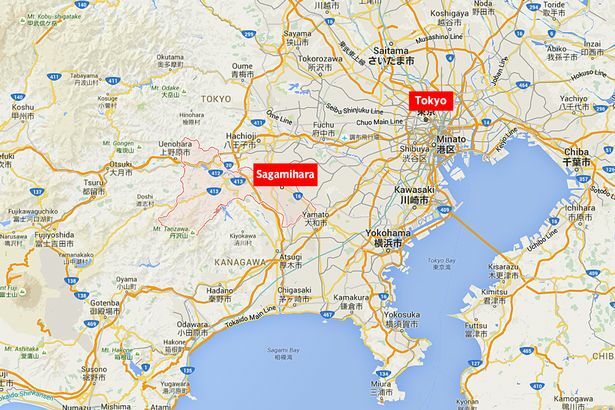 An ancient city, Sagamihara was home to the Yokoyama clan, one of the seven warrior clans of the Musashi region during the early Kamakura period. The city has a population of over 700,000 people. Thanks for the alert from Mike Playfair. can be read literally as "field of mutual imitation" or "copycat field".